So when I sat down to put this list together I had been thinking that it had been a really quiet week. Turns out that was last week. This week wasn't so quiet though I suppose it could have been worse! Reading: Still reading Great Expectation by Charles Dickens but mixing in a little Heroes are My Weakness by Susan Elizabeth Phillips as well as Gummy Bears Should Not Be Organic by Stefanie Wilder-Taylor to lighten the mood. Listening: I'm giving David Sedaris a break and have returned to The Sweetness at the Bottom of the Pie by Alan Bradley. This is the first Flavia de Luce and I'm curious to see where the story goes. Watching: I'm getting my genealogy geek on and really enjoying Who Do You Think You Are on TLC. There's been some interesting stories this season. I'm also enjoying CSI: Cyber since they haven't had anymore shows that involve selling babies and am loving NCIS: New Orleans. The Tornado had a field trip this week to a farm that was lots of fun. They had 4 baby lambs that were quite possible the cutest thing I've ever seen. And yes I know baby and lamb is kind of the same thing but I feel like I need to emphasize how cute these things were. I'm trying to talk J into a couple of lambs and a Great Pyrenees to watch them but he is against the idea. He's also against chickens. Apparently since my farm animal experience is basically zero I don't get to make livestock decisions. Emma's birthday went well. We went to a local Mexican restaurant because she has an obsession with cheese dip and then came home for a chocolate cake and a raspberry sauce. She got lots of books most of which I'd seen on everyone's blogs. She got Since You've Been Gone and Roger and Amy's Epic Detour (or something like that) by Morgan Matson as well as Don't Look Back by Jennifer L Armentrout and We Were Liars. The main reason she got We Were Liars was because I wanted to talk about it with someone! She got other things too but the books are always the most interesting. Not much else going on here. I'm hoping to get my garden cleaned up and ready to get some veggies in this week. I'm hoping to plant a variety of tomatoes, zucchini, peppers and cucumbers. I'm going to try summer squash again and am keeping my fingers crossed that I have better luck with it this year than I have the last few years. I'm looking forward to having a deck full of fresh herbs again as well! Some years are better than others with the gardening thing but I'm hopeful. Herbs are fantastic because not only are they tasty but they're pretty too! Whew lots of nice books this week. I really need to give SEP a try. You haven't read SEP??? Fix that now! Not all of hers are winners but most are pretty fun! Thanks! I'm looking forward to reading them! Oh I can believe lambs and chickens are a lot of work! I have no business owning either! Herbs can be fussy. Last year my mint just upped and died and I can't grow thyme to save my life! 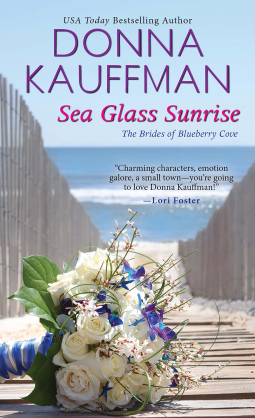 I love the cover of Sea Glass Sunrise - something about the blue and white in the bouquet. I wish I could start gardening. Still a good month out and I have a lot of interior trim to paint. I'm listening to a book for book club which I hate. The sad part is that it is by a "famous" writer who lives nearby and who is coming to book club. So, I guess I have to finish it. Then I can ask her questions like" WTF were you thinking?" LOL! If you ask that question I want to hear the answer! It's too bad you're not liking it but I guess all books can't be winners. The Kauffman is set in Maine and I've really enjoyed her previous books. What a great week! Thanks for sharing, and enjoy your next one. Sea Glass Sunrise looks like one I'd enjoy...great cover, too. I'm excited about new reads and the garden. I'm really hoping they all work out! I read Bran New Death and it is a good one. Many of those on your list are on my wishlist. 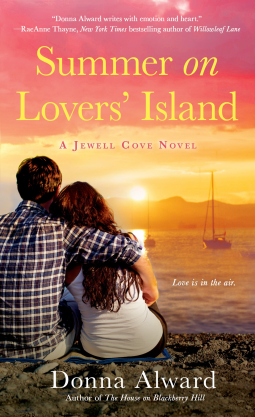 Sea Glass Sunrise looks excellent but I want to read that author's other series first. They all look so good. Oh I'm so glad you liked Bran New Death! I'm excited about the series though I have a feeling it will make me want muffins! 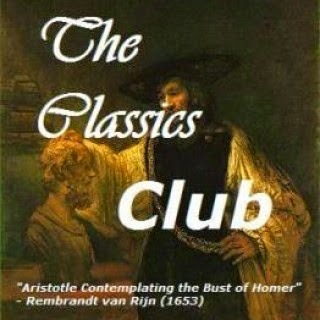 I usually have to mix Dickens (and most long classics, for that matter) with something totally different, too. Gummy Bears Should Not Be Organic is such a fun title... look forward to hearing more about that one! Are you enjoying Great Expectations? I was forced to read that book twice--once in HS and once in College. In college, we watched the horrendous Ethan Hawke adaptation. I am not a fan of Dickens! Field trips are fun, glad the Tornado had a good time. You have a nice collection of books this week. I loved Great Expectations, but it had been a while since I've done a re-read. Enjoy! The Gummy Bear book sounds like a fun one. Wow! You had a great haul of books this week and all of them are ny new to me authors. You seem to have quite a few cozy mysteries and whilst this is not a genre I read too often, it is always good to have a reserve list for when I need a lighter read, so I am off to check out a few of the titles which caught my eye. I am also an avid fan of the UK version of 'Who Do You Think You Are? ', although MIL is the big genealogy expert in our family and found out some pretty awful stuff about one of hubbie's ancestors, who was apparently hung for treason! We live in quite a rural part of the southern UK, so lambing has been going on all around us for some time now and the fields are full of the little bundles of energy. Farm trips are also a standard part of the curriculum for the youngsters in our schools, although this week, the potential candidates for Prime Minister in our forthcoming elections, made some great campaign mileage by being filmed feeding lambs ... all rather sickening to watch actually! You got a truly great haul this week, Katherine! I hope you'll enjoy all your new books. And yeah, baby lambs (meaning they're really teeny-tiny and all fluffy, right?) are among the cutest animals ever. Have a wonderful week ahead, and happy reading. Summer sounds good! Hope you enjoy and have a great upcoming week. Lambs ARE too cute, but I like to eat lamb so....there is a conundrum for me!! Sounds like a good week for you. The chocolate cake and raspberry sauce sounds amazing and now I want some. Good luck with the gardening. We have squash in already. Last year we had a diseased bunch and all of it to be sacrificed but we are hoping for a better year now. Peas and beans are in the ground! What a great week, and you are truly setting the mood for Spring with your cozy and light romance titles! Lake houses, gardening, baking, sea glass beaches, hotel getaways, summer islands.... I'm making a quick list so I won't miss out on a good thing here. I will be checking out all your titles further, thanks! You have a lot great books this week! I would love to see your garden. We tried growing vegetables one year but we weren't lucky. But I do need to clean up all the weeks and get more bark and plants. It's nice that weather has been warming up for both of us. Have a great week with all your new books! Wow, you got a lot of books. Maybe you can share some pics of your garden later. You had quite a busy week! I hope this week will be a good one for you. Ah, gardening ! I used to have a garden and loved working in it, it's so peaceful and frankly, the vegetables you grow yourselves are the best ! And fresh herbs give so much flavor to what we eat - I'm going to grow some on my kitchen window as soon as the weather stops freezing at night. Too bad for the animal farm, but have fun with the garden. Will you do some gardening with the Tornado ? Dunno know if you remember this, and I'm certain Emma doesn't, but one time the three of us went out to eat at Outback and got cheese fries. I remember getting her her very own bowl of ranch, or maybe just sacrificing ours? and she spent much of the meal happily dipping. Perhaps this led to cheese dip obsession? lol - You gt her a book for her birthday so you'd have someone to talk about it with. Nice move! Hope you have a great week and enjoy your books. You got some nice sounding books this week! I got accepted for a few books on netgalley as well this week, i really should try and stay away, but there are so many good books on there. I woudl lvoe to own a goat once we have a bigger house and a garden. Chickens are nice to as then you can get lots of eggs to eat as well. I hope you can convince him ;). I've heard of most of the books your daughter got for her birthday, although I haven't read any of them. Good luck with your garden and planting veggies! Your new books sound like they will be good. I don't blame you for picking up Heroes Are My Weakness at the library. I hope you are enjoying it. It sure sounds good. I am glad Emma had a nice birthday. Books are always the best presents. :-) I would call them baby lambs too. Awww what a lovely visit to the farm, Katherine! Sounds like Emma has a wonderful taste in books and a great birthday. I hope you enjoy all of your reads, what a wonderful haul! Sounds like you've got some great new books, so hope you enjoy them all.